The Department for Transport (DfT) held no face-to-face meetings with the backers of the ferry-less shipping firm Seaborne Freight, the BBC has learned. A Freedom of Information request unveiled that no officials or ministers met Arklow Shipping, the Irish firm that eventually withdrew its support for a route between Kent and Belgium. It also uncovered that no DfT ministers met Seaborne at any point. But the government stressed that many emails and phone calls were exchanged. Labour's shadow transport secretary, Andy McDonald, said the revelations were "astonishing", and added that it was "difficult to imagine how [the contracts] could have been handled any worse". The DfT said it was not normal practice for government ministers to meet representatives of all the companies it has contracts with. "To suggest that ministers should have personally met with interested parties during a procurement process is ridiculous and belies a fundamental misunderstanding of procurement rules and procedure. Such an action would be wholly inappropriate," it added. Arklow confirmed their backing of Seaborne in writing to the DfT and the Secretary of State for Transport, Chris Grayling. 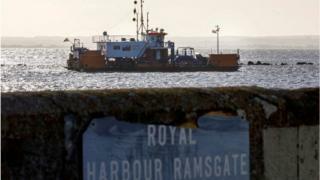 Seaborne Freight was awarded a £13.8m contract in December 2018 to run a freight service to mainland Europe, in the event that Britain leaves the EU without a deal, and congestion builds up at ports such as Dover. The government was criticised for choosing Seaborne - which the BBC found had never sailed a vessel - as a supplier, and for leaving too little time for a full public procurement process. The DfT said it awarded the contract "in the full knowledge" that Seaborne, which was formed in April 2017, was "a new shipping provider", and said the company had been "carefully vetted". 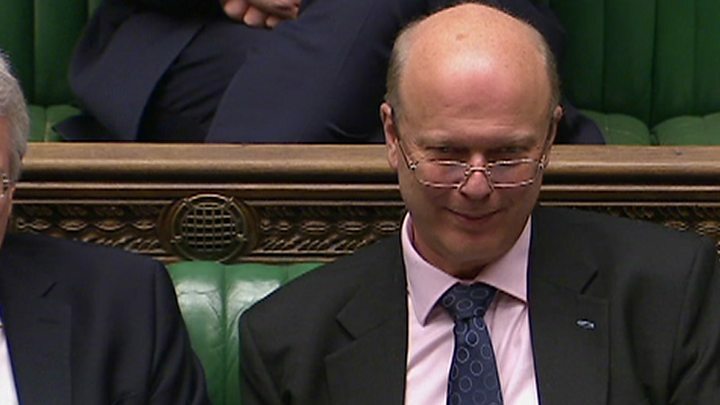 Mr Grayling told the House of Commons that "due diligence was carried out into the participants in this business and no reason was found why they should not contract with government". In February, the government axed its contract with Seaborne, after Arklow removed its backing. Earlier this month, the government paid £33m to Eurotunnel to settle a lawsuit over the hurried manner in which the contracts to Seaborne, and to established shipping firms DFDS and Brittany Ferries, were awarded.